Sometimes we try and make do with what we have and it works. Sometimes it does not. We grow livestock that needs to be transported. We have cobbled together a variety of ways of getting livestock moved..but we do not, as of yet, have a livestock trailer. Yesterday morning we spent some time, after Homer had spent a great deal of time the afternoon before, trying to get pigs in the back end of the pickup truck. Funny thing about a pickup truck: if you sit on the open tail gate your feet swing off the ground. Even a long legged gal like me. To get a pig out of their pen and up a ramp, sloped steeply enough to get into the back of the truck..proved to be..challenging..
Only 1 of 4 was moved yesterday. There were a few phrases and exchanges that occurred that I'll not repeat. And we are on the hunt for a livestock trailer. Homer's V6 truck is back on the road. 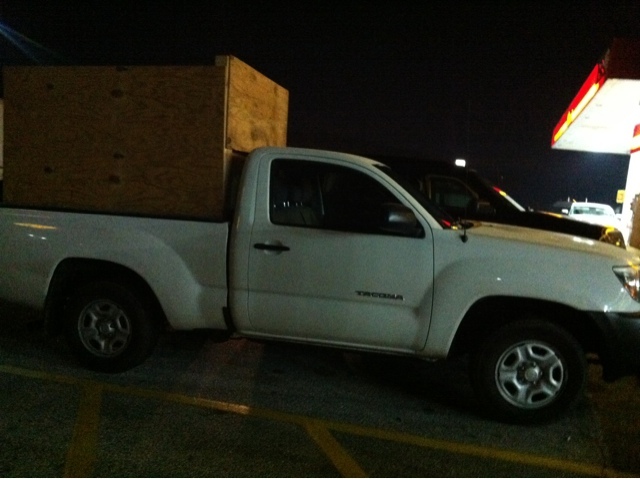 While my little truck can haul a small trailer loaded with livestock, Homer's is really built to do that. We saw a horse trailer today for sale, but our friends tell us that what we haul will destroy this. 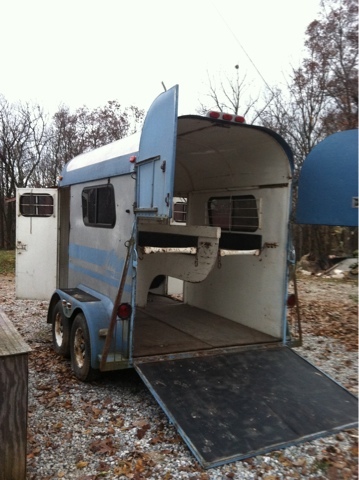 If you find a reasonable, used livestock trailer let us know. It is time that we get the right equipment for the job. Cause that truck is not quite cutting it.